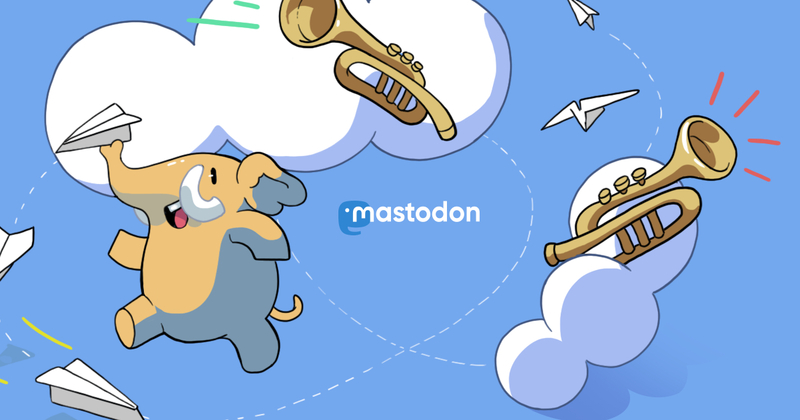 The Mastodon Community Survival Fund! A volunteer-run cash assistance program. Send me a direct message to ask for help! I want to thank everyone who has boosted or reshared my campaign link. The tl;dr of the situation is my Ex is being unreasonable about the divorce and I am in financial limbo. I'm a trans girl, my partner @elbrujovago just got hired but it could be 3+ wks before we see a paycheck. We have $30 between us for food + bus with a phone bill due this week. I'm starting my new job today, but I'm not gonna be getting paid before rent will be late and an eviction notice issued so, I hate hate doing this but I'm asking for help again. Anything is appreciated tbh, a buck helps more than not. I'm about $460 short on what I need to make rent for this month, possibly more if I can't find a new roommate, as the guy who was gonna move in this month backed out at the last minute. hello 🐘 friends! the Mastodon Community Survival Fund has been quiet but we&apos;re still here. We are working on switching over to Liberapay&apos;s new payment processors, so we can accept donations again. In the meantime, we still have $128 (thanks to generous donors! ❤️) and if you need anything or know someone here who needs something, send us a direct message so we can help you/them out. I cleaned up some of our info and processes, including the deprecation of the Google form. Instead of filling it out to ask for help, just send us a direct message! If you see someone asking for help, send us a link! At this time, we&apos;re able to disburse about $10-20 to folks in need from a reserve of about $80. Right now we receive ~$3/mo in Liberapay donations. If you reached out to the MCSF in any capacity and didn&apos;t receive a response, I (@garbados) apologize. Please DM this account and I&apos;ll do what I can to make things right. I'm an afrolatinx disabled neurodivergent trans person and I just lost my job and am in an emergency. Please share this and donate if you can. Everything is explained and broken down in the description of this link. Hey mastofriends. My paycheck was a lot less than I was expecting. After I pay the already very late rent we will have about $45 to our name. If you can help us in any way, it would be incredibly appreciated. We're totally out of money (rent cleaned us out) and my gas tank is almost empty - if you have even a couple of dollars to spare, it would really help. I need to go to work tonight!! Hey my friend is getting fucked again by a roommate. She'll be homeless soon if she can't pay for car insurance for her job. Any thing helps, even a boost. My girlfriend and I really REALLY need help; our rent is (over)due on Friday, which is my payday, but because there is one day of library work on my check, deductions from insurance etc. are being taken out of it. This leaves less than 200, and our rent is 750.